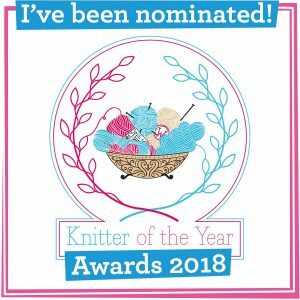 Obviously, I am still knitting British – no change there! Last year was my first year of this new knitting objective and so I do have stash dating back to before KnitBritish. I am not going to leave that to the moths for another year and so while I will only be buying British wool, I am going to have to stash down at some point. There isn’t a whole lot and I actually gave a lot away, but I have some pretty nice skeins in there and I *am* going to knit them. Knitting British to me means supporting all the ways and means of producing yarn in this country. I know I have said this all along and mentioned it most recently here, but it bears repeating. To many it means just using wool and fibre that has been grown in the UK and that is excellent. I will continue to buy and shout about British bred fibre yarn and I hope by doing so I will be not only do a good turn in helping to maintain the flock, but also bring the wool and yarn to the attention of others who might do the same. There is an awful rumour going around that British wool is only good for carpets and while we export so much of British clip for carpets, we have an amazing abundance of wool that is soft, knitable and sustainable but also some of it is endangered or at risk of disappearing all together. Britain has a long heritage of spinning and textile mills and I am happy to extend my remit to any wool spun in UK mills. Many long established British spinning and textile mills struggle to keep yarn production going in this country and fight to keep their heads above water facing stiff competition from global competitors. Let’s not forget those who operate small scale set ups too. Happy am I to knit from farm to yarn and I also am happy to knit with wool from somewhere like Rowan that has been sourced outside the British isles, but has been spun using a traditional method developed by a UK mill. I do think about wool miles, but I also think about helping to support jobs in the industry in this country too. That may seem like I am cutting this fabric to suit myself – again, knitting with only British bred wool is fantastic – we are directly helping to maintain the breeds in this country, and maybe even saving them – but I really do think we should think about all the connections of Britishness when it comes to the yarn we knit with. There are skilled workers, craftspeople and artists who are all involved in all stages of bringing the finished object to you. And not to forget your British LYS’s too. It is hugely important for me to include British dyers in my own concept of KnitBritish – I firmly believe that we should consider all the aspects of yarn production in this country and dyeing is most certainly part of the process and actually it is a blooming art-form and not only does hand dyed yarn compliment a pattern and garment, it can make it. I am constantly blow away by the high standard of hand-dyed yarn produced in this country. I think sometimes people think of dyed wool as some sort of fancy extra to the finished ball of yarn, some artful embellishment or hobby – and for some it may be – but I really beleive that dyers are an integral part of producing yarn that we want to knit with. I would be really happy to hear what you have to think, either in the comments or in the new KnitBritish ravelry group and if you are a mill, a farm to yarn producer, a dyer, designer, a general wool enthusiast, etc and you are interested in a guest post on what British means to you in wool – either in agreement with me or not (it’s not all about what I think!) – then email me via the contact page on the website. I would love to hear from you. A new path for me is the podcasting adventure and I really want to continue on with this in 2014. I have loved doing the first few episodes and I am glad you’ve enjoyed listening to them. There are also regular features that I hope to bring to the podcast as time goes on and I would like to podcast and post more on the people and the places that I think are important to all aspects of knitting British – even more so if I can get the opportunity to get off Shetland to do it. 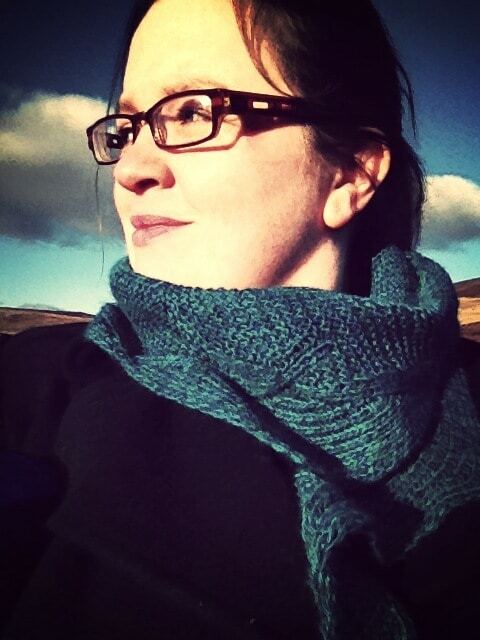 I have been described as mounting a campaign with KnitBritish. 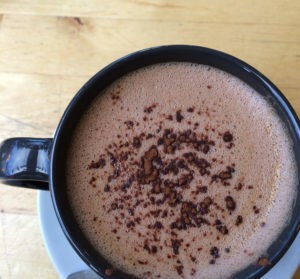 I am not sure that’s what this is, maybe it is – I just want to do my small bit and hope that by blogging about it and podcasting that maybe others will too, or at least find an interest in it. There are lots of ways to KnitBritish and I am open to them all: its all about preference and seeing the different ways you can support wool and the journey to the finsihed object in your stash. 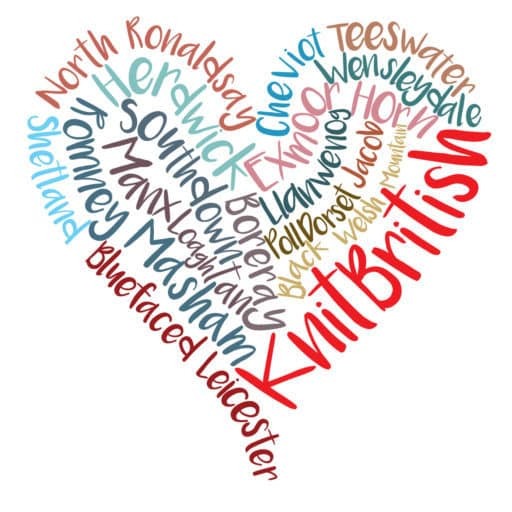 Oh, and no – for those who’ve asked – you will probably never see a Union Jack in connection to KnitBritish, not on my site anyway. While the flag has always been a rubber stamp to mean “Made in Britain”, personally I have been sick to death of seeing it plastered over anything mildly British. It is definitely just a personal preference, don’t be sending me to the Tower! I hope there is a larger shift happening, slowly. Most knitters are pretty discerning about fibre & wool. 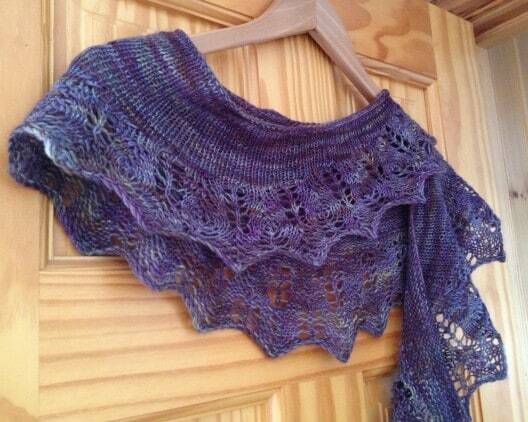 It would be superb if more LYS’s starting featuring local & national yarns, many already do of course. Yay for you and your knit Britters! When I’m looking for fleeces to spin I rarely have to look further than the farms in my immediate area. There, I am able to handle and check the fleeces before asking for them, a great advantage as both the prep needed and quality for spinning can be assessed on the spot. Of course not everyone lives near farming neighbours. But if those spinners who do bought even one fleece from a farm, it would spread the idea that their fleeces are worth bothering about and have value. These locally sourced fleeces don’t only have to be spun into ‘white’ or ‘brown’ yarns, though these can be lovely. 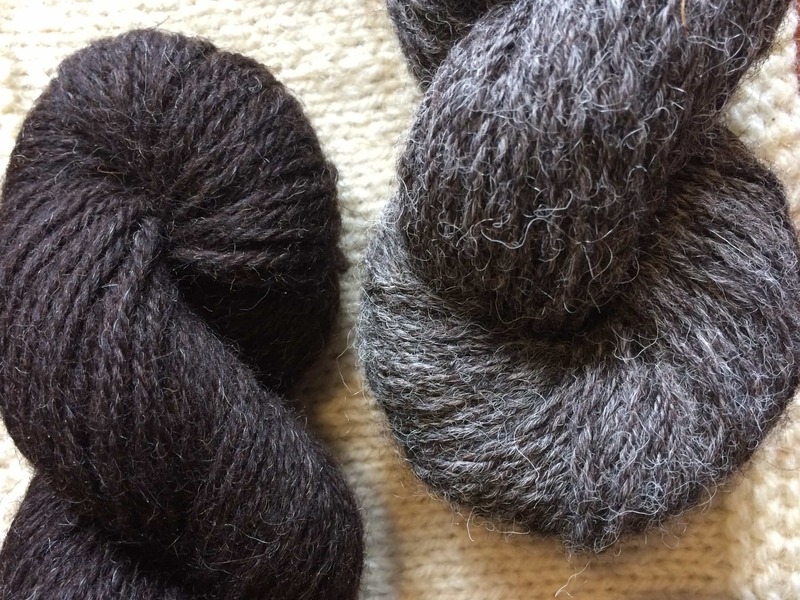 Blending a local fleece with a bought, (UK sourced) dyed top by carding or combing together can both ‘spin out’ the more expensive dyed top and create some beautiful coloured yarns using mainly local fleeces.